Hey y'all! 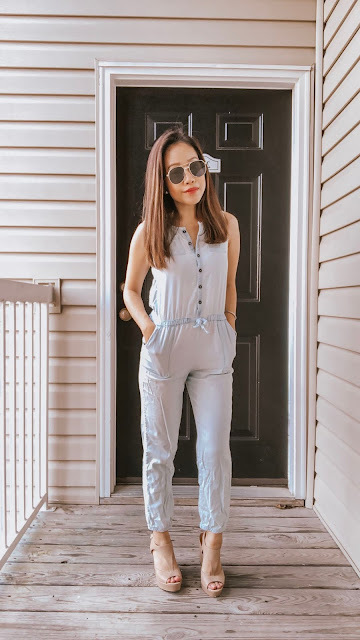 Today I wanted to share some of my favorite jumpsuits under $100! 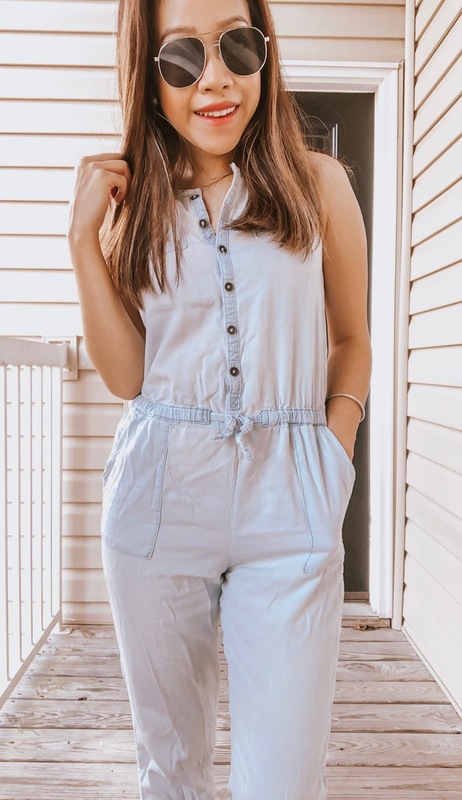 My cousin asked me to find some affordable and cute spring jumpsuits and I think I've hit the jackpot! 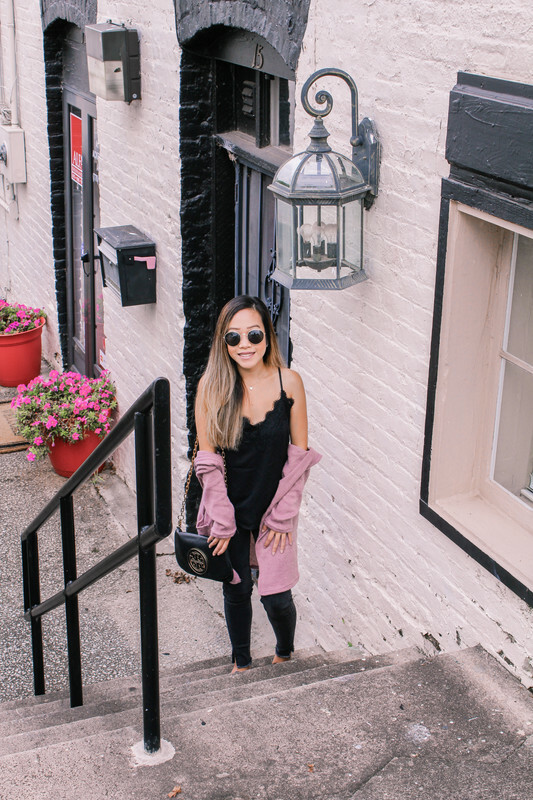 I love that you can literally throw on one staple piece, layer with a cardi or denim jacket and dress them up or down with accessories and your look is complete! 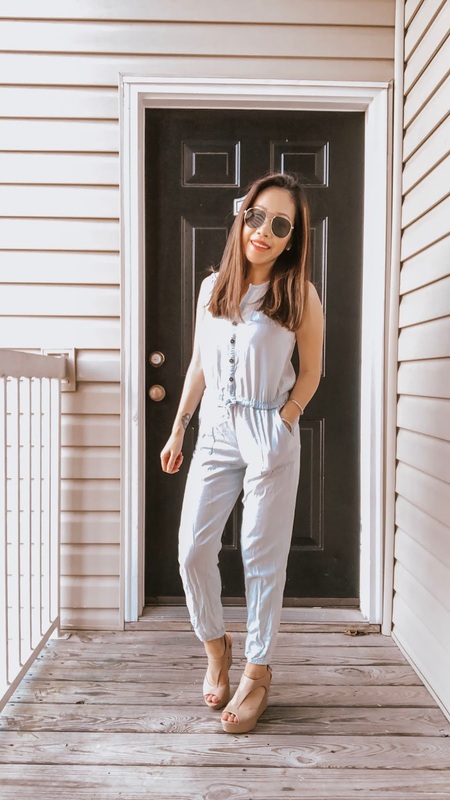 I made sure to find jumpsuits for all shapes and sizes and for any occasion! I'm sorry my jumpsuit is so wrinkly! 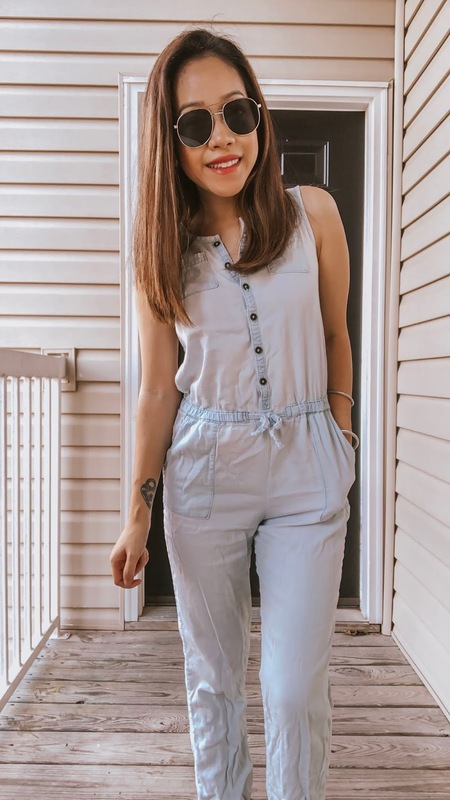 I was too excited to put this on because I obviously hadn't worn it in awhile and it's nearly 80 degrees here in Georgia right now, so I think this is definitely spring/summer appropriate! Mine is from Target a few years ago, but I found some that are similar and fall in the chambray family. 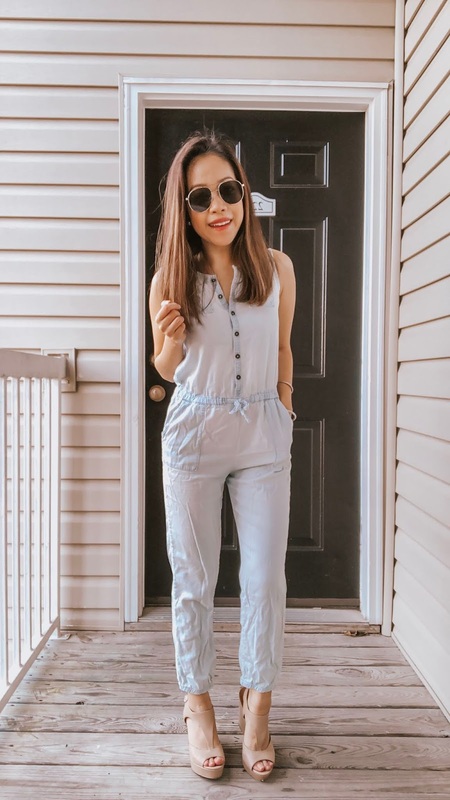 You could definitely dress this up and add a belt (I would have if it wasn't in such a hurry to take my own photos) but I went ahead and threw on some wedges and put on some cute sunnies! For those cool spring nights, you could throw over a lightweight kimono or bomber jacket, tie a denim jacket around your waist or dress them down with sandals or a pair of chucks! 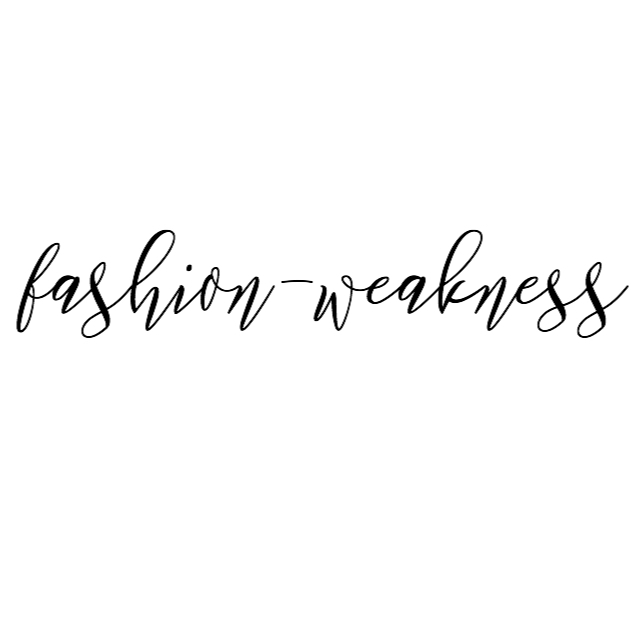 This is honestly the easiest piece of clothing in my wardrobe!